In 2015 NHS England published Building the Right Support. This plan described how community services and inpatient services can support people with mental health conditions, learning disabilities and autism. Following the publication, 48 Transforming Care Partnerships (TCPs) were developed throughout England. Each TCP identified ways that their local services could be improved so that people with mental health conditions, learning disabilities and autism can be supported to live close to their families and that they are cared for and supported by staff with the right skills. 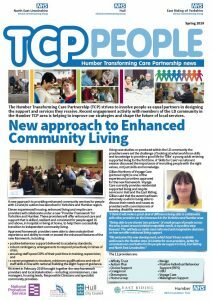 We are part of The Humber TCP and our vision is “…improving safe care and treatment to make sure that children, young people and adults with a learning disability and/or autism have the same opportunities as anyone else to live satisfying and valued lives and are treated with dignity and respect”. Our local plan is called Transforming Care for People with Learning Disabilities. We have also produced an Easy Read version Transforming Care Partnership Easy read version. In August 2016, further information was published about how we are progressing against the report. You can read that information here. 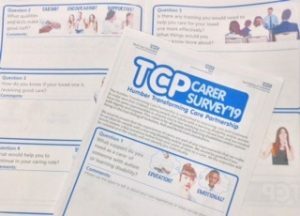 We talked to carers of people with learning disabilities at the Differently Abled event in February 2019 about their experiences, training or support needs and how they would know if their loved one was receiving good care. Click here to see the survey. Some key issues identified by the carers we spoke to included specialist dental services waiting times and need for greater support/training for grandparent carers who often provide respite care for young adult family members with learning disabilities. The TCP publishes a newsletter called “TCP People”. It features news and developments across the Humber TCP area which make a difference to the lives of children, young people and adults with learning disabilities. City Health Care Partnership CIC in Hull has a dedicated Wellbeing Service working with primary and secondary health care services, voluntary organisations and health promotion to promote annual health checks for people in Hull who have learning disabilities. Find out more by clicking this link or by calling (01482) 347954.